Get three pairs of nylon socks. Comes in one size, UK 3-8 (EURO 35-42). 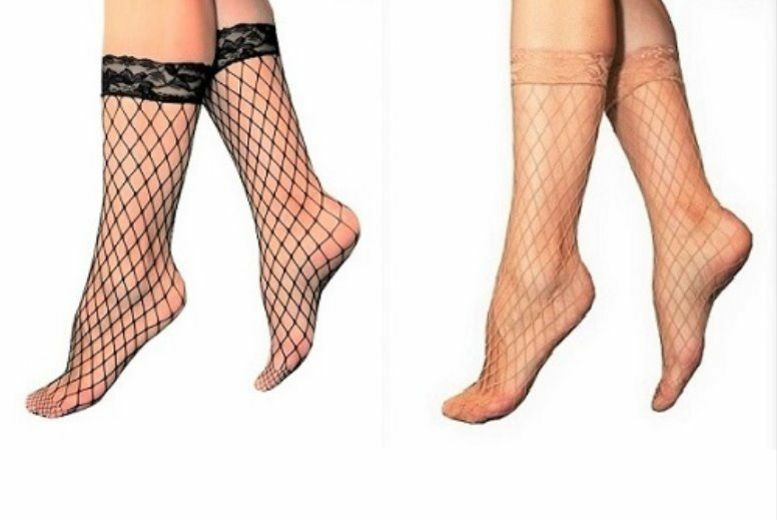 Choose from a fishnet or flower pattern. Available in natural tan & black colours. Fits perfectly with slim leg trousers. A wardrobe essential for any woman!